This year as well, Podravka recorded significant success at international quality assessment and received 19 Super Taste Awards, the most distinguished reward in the food segment in the world. This year's success excelled last year's 18 awards and again confirmed the excellence of taste in the categories in which they were competing. Apart from that, as many as 7 Podravka products received maximum grade, 3 STA stars, which is the highest number since Podravka has been applying to this international quality assessment. Podravka tea lemon and lime and Podravka Urosal uvin tea along with the 3 STA stars, they have also won crystal awards which are being awarded to products that have in the past 3 years in the row been awarded with the highest STA reward. 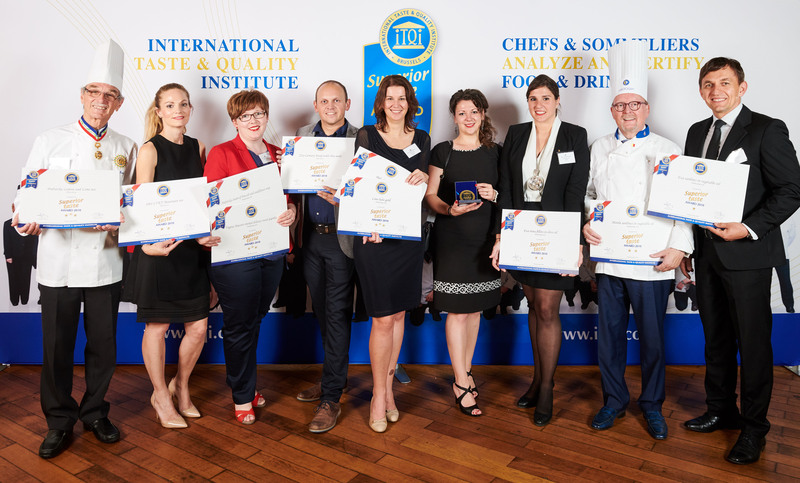 Vegeta Maestro smoked paprika, Podravka cream of broccoli and cauliflower soup, Lino lada gold, Žito – century bread with spelt and chia seeds and Žito Buckwheat with walnuts won 3 STA stars. 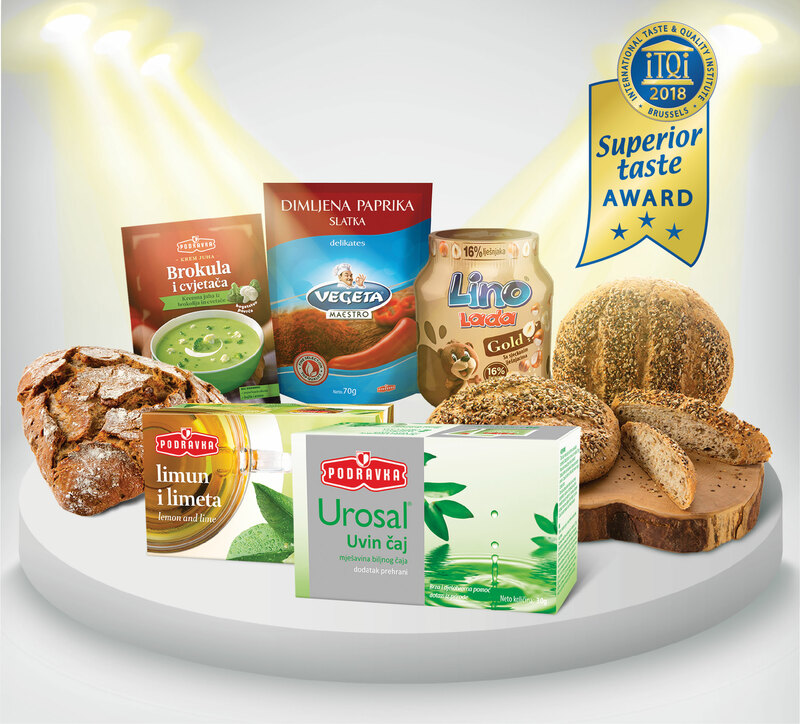 Apart from that, Superior Taste Award was this year received by Vegeta Natur, Eva fillets in olive oil, Mirela sardines in vegetable oil, Salut, Žito walnut bread, Eva sardines in vegetable oil, Podravka Alpine soup, Dolcela brownies, Corned beef, 1001 CVET hot ginger tea with lemon and 1001 CVET bio tea for babies and 1001 CVET mountain herb tea. Superior Taste Awards are being awarded to those products which successfully pass blind tests conducted by the jury composed of top world chefs and sommeliers, where among others, particular attention is given to evaluation of taste, aroma, texture and product appearance. „In the strong competition of international brands, Podravka this year achieved remarkable success during evaluation, and we are exceptionally proud of the fact that various juries confirm excellence of our products year after year. Innovativeness, creativity and excellence, recognizing the needs of our consumers and the market, are the basis of our business and the approach to development of new products and taste. Results of this year's evaluation only confirm that we are very successful at this, and they motivate us to continue to investigate and develop new tastes and products which will satisfy the needs of our consumers in more than 68 products around the world“ – Tanja Jelača, Product category manager at Podravka said upon accepting the crystal awards. Since 2008 Podravka has been participating at Superior Taste Award competition and has been winning more and more awards year after year for quality, taste and design of its products. In the period from 2008 to 2018, Podravka products have been awarded with as many as 110 Superior Taste Awards.